The vision for Running with Love is to enable the children of the migrant farm workers to complete high school in order to be college and career ready. Running with Love focuses on removing the environmental barriers that inhibit the children from attending college. At Running with Love, we equip the children to be classroom ready. This includes backpacks, notebooks, pens, scissors, and paper. We ensure the children have appropriate clothing and shoes. 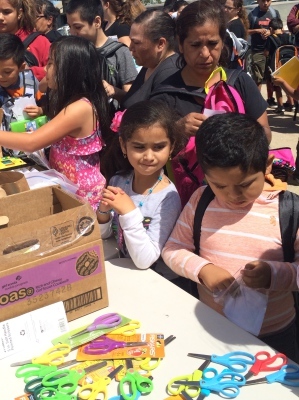 In addition, Running with Love enables the migrant children the opportunity to explore with educational field trips to tech museums, corporate offices, fire houses, college campuses wildlife sanctuaries, and more. Running with Love has established a working relationship with the parents of the migrant children. We have mentored them on the opportunities that are there for their children if they graduate from high school and obtain college degrees. 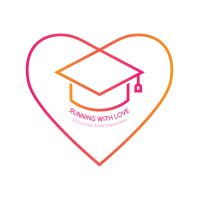 Running with Love also offers a scholarship program. The scholarship program is multi-pronged. First, it enables the high school graduates to pursue a college eduction. Secondly, it showcases the recipients to the other children as role models. Lastly, the scholarship beneficiaries give back to the camp by committing to tutor the migrant children in literature, science, and math. Additionally, a mentoring program is being established to inspire the children to stay in school and dream big. As our next endeavor, Running with Love is targeting to build a computer lab at the camp. This facility would focus on bridging the digital divide. Today the children at the camp do not have access to the internet or laptops. This facility would provie access to the internet and compuers as well as provide them an opportunity to succeed and further themselves academically.